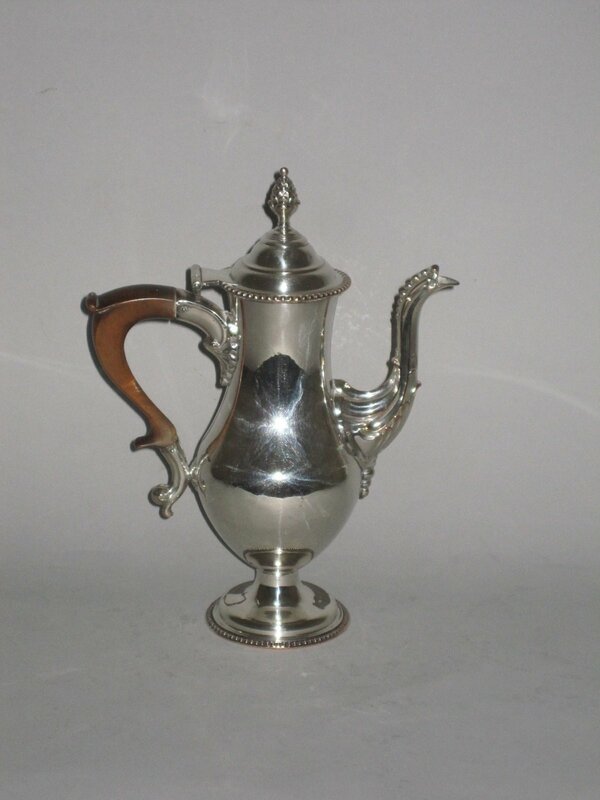 A RARE 18TH CENTURY OLD SHEFFIELD PLATE SILVER COFFEE POT OF DIMINUTIVE SIZE. GEORGE III, CIRCA 1770. Of baluster form, beaded borders, with a domed hinged cover and on a raised circular foot.